This page should alert you to changes in important services, changes in legislation and new scams. Warning about Brexit Scams ….. of which there are many! Brexit is a good opportunity for fraudsters to con investors into parting with their money. They may use e-mails or telephone calls to suggest that an investor amends their investments to minimise the risk during Brexit or to make the most of any opportunity to enhance their savings. The Counsumer Association (Which?) has reported claims for a ‘Brexit severance cheque’ as an example. At this stage, no-one really knows what the full impact of Brexit will be. 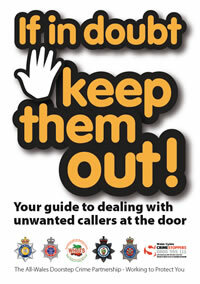 Do not respond to cold callers and never give your personal bank details in phone calls or emails. Contact your financial service using an official number on its letter heading or website to check that any information received is genuine – do not use links in e-mails. This scam is aimed at companies which trade with the EU and which have been told by the Government they need to register for a ‘UK trader number’. 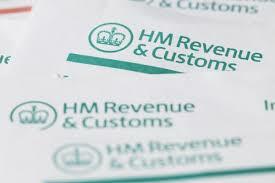 Fraudsters with fake websites which appear to be HM Revenue & Customs are targeting businesses. The Ehic gives you the right to access state-provided healthcare during a temporary stay in another European Economic Area (EEA) country or Switzerland. Depending on how the UK exits the EU, the Ehic card could no longer apply to UK travellers holidaying in these countries. Scammers could use the confusion around this to lure UK travellers into thinking they can still get an Ehic if they pay a fee for it. If you’re looking to get an Ehic card before you travel this year, visit the official government website or the official NHS website to check if you can still get one and, if you can, to make sure you get one free of charge. Brexit could seriously affect financial transactions to and from Europe. Because UK financial service regulation is closely linked to EU directives, the UK might experience difficulty accessing the European payments infrastructure. 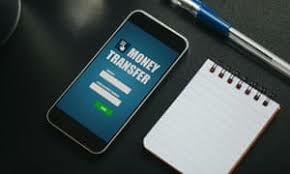 This could result in delayed money transfers for purchases of goods, services and salaries etc. Financial services are obliged to contact customers to advise them about any changes. However, during this disruption, scammers might contact individuals pretending to be from their financial service provider. So, be wary! 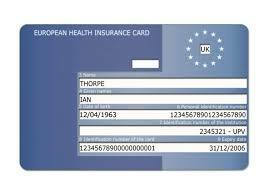 What is the future for the European Health Insurance Card (EHIC)? In the meantime, you can report scam and spam texts directly to your mobile phone provider by forwarding it to 7726, which is free of charge. Read more: https://www.which.co.uk/news/2018/12/phone-companies-to-end-bank-text-scams/ – Which? 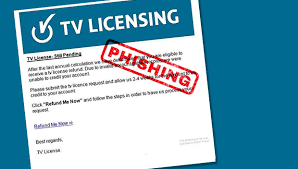 Beware this latest scam about TV licences ….. https://bit.ly/2TrlIwT Thousands have reported this to the TV Licensing authority. Please heed their advice https://www.tvlicensing.co.uk/faqs/FAQ288 Stay alert. Don’t get caught! 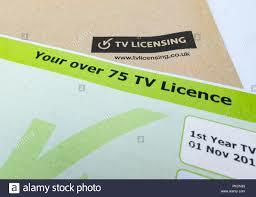 The current free TV licence for those over 75yrs is due to end shortly.The BBC is seeking your views on what happens next. Will it be abolished? Read about the BBC’s proposals and have your say https://bbcconsultation.traverse.org.uk or tel: 0800 232 1382 for a paper version. using a steering wheel lock to deter burglars. 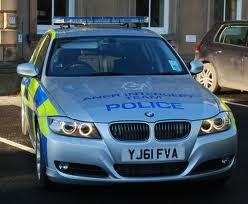 In the event of a theft, you should contact the Police on 101 and then report it to your insurance company. For further information, please follow this link to an article in Saga magazine. Driving too close to a cyclist when overtaking could now cost you £100 and three penalty points under new laws introduced this year. According to the new law to protect cyclists, the driver needs to leave a minimum distance from a cyclist when overtaking or travelling alongside the bike or they could receive a fine. 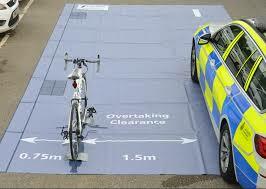 This would be £100 and three points on the licence for being too close to a bike on the road. Rule 163 also adds that drivers should leave ‘as much room as when overtaking a car’ when they overtake a motorcyclist, cyclist or even a horse rider. For further details, please follow this link. 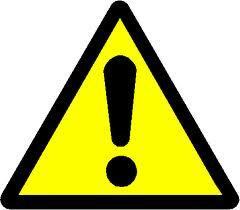 There is a warning issued via StrayFM about scams which particularly target older people. Make sure that you are aware of the latest threats. Follow this link for further details. 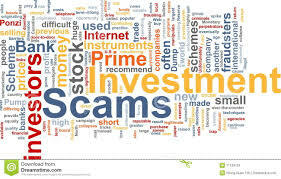 Are you aware of these scams? The Consumer Association (Which?) has issued a warning about some major scams for 2018. These include malicious software on mobile phones and social media spying, among others. For further details, please follow this link. Parking permit charges have been frozen for nearly five years, but are due to increase on April 9th 2018. The new charges are, however, amongst the lowest in the country. 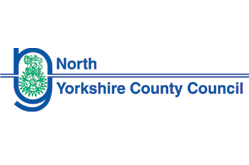 For further details, visit the North Yorkshire County Council (NYCC) website. ‘More than 90% of homeowners who are part of the Support for Mortgage Interest scheme face losing up to £5,000 a year within weeks when the benefit is replaced by a loan – if you’re affected, you must act NOW’. 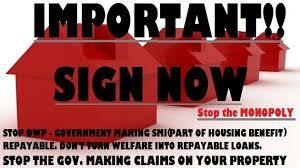 ‘Don’t cut off your nose to spite your face – sign the forms’‘An estimated 124,000 households currently receive the Support for Mortgage Interest (SMI) benefit, but from Friday 6 April this will become a loan instead – and payments will stop altogether unless you sign a loan agreement form. The Government says that as of 12 March it had yet to contact just over 5,000 of those households, but it insists everyone WILL receive a letter by 6 April. The latest available figures show that, as of last month, only 10,179 of the 124,000 receiving the SMI benefit had agreed to take out an SMI loan to replace this’. For further details about the risks of not converting to a loan and other advice, please follow this link or look on the Government website. If you act now, you may be able to avoid some of the increases. For further information, please follow this link. ‘North Yorkshire Police, are today launching their Freeze on Fraud campaign to raise awareness of online fraud and help reduce the risk of people falling victim to this ever increasing type of crime. Over the next few weeks, we will be releasing a series of short videos about fraud, featuring top tips from DI Hodgeon, Head of Fraud at NYP, and also some real life victim stories. Please visit the webpage and spread the word – it is really important that you are aware of the different threats posed by fraudsters and understand the preventative steps you can take to prevent falling victim. The campaign will feature on our social media platforms throughout January and also on ATMs across the county’. 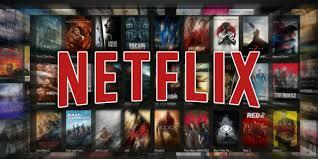 Subscribers to Netflix are being warned about a scam involving renewal of their subscription. So far over 110 milliion people have received the e-mail, which includes a link to a very convincing fake Netflix site. To find out more, follow this link. 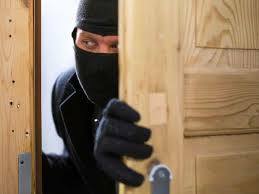 Local residents are being warned about a spate of burglaries which occurred on Friday 16th June resulting in the theft of thousands of pounds worth of possessions and vehicles . They are urging people to ensure that they keep valuables out of sight and ensure that they review their home security. 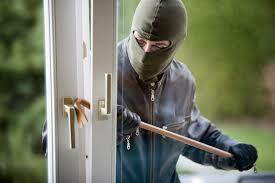 Opportunistic burglars often strike while residents are in the garden having failed to secure their property. Be careful about who you ‘like’! In a current scam, the offers of free airline tickets (to mark the anniversary of an airline) have proved irresistible to many ….. but at what cost? Kapersky have issued a warning about posts on social media offering free airline tickets. The link in the post leads to a website asking people to complete a simple survey and then to share the link on a social network and then click the ‘like’ button. But, what happened next ….. click here to find out! 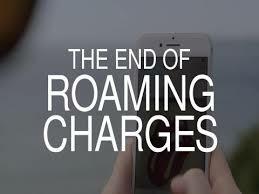 Good news for people holidaying in Europe – mobile roaming changes have been abolished. However, there are some conditions attached. To find out more, follow this link. Also, bear in mind that Brexit may well affect the situation in due course. Global cyber attack – Could you be affected? 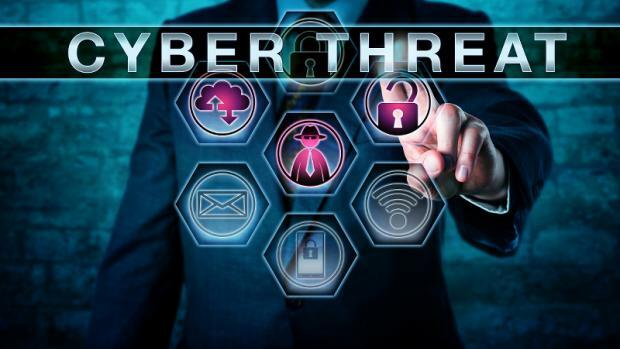 The current global cyber attack is hitting all the headlines at the moment. Over 200,000 organisations have been affect worldwide. But, what about individuals? Are they likely to be affected? Generally speaking, this is unlikely. However, news of such an attack provides a great opportunity for scammers. The fear of being a victim of malware (a programme designed to ‘disrupt, damage, or gain authorized access to a computer system’) and having all their files held for ransom, will be enough to provide vulnerable ‘prey’ for scammers. Imagine the relief you might feel if you receive an e-mail or ‘phone call offering you protection against malware/ransomeware. All you have to do is ‘click on the link to download protective software’ or follow the advice of the caller (who may persuade you to allow them to take control of your laptop/tablet in order to install the software). Don’t! It’s a scam. Protect yourself by ensuring your antivirus software is up-to-date, all operating system updates are installed and all your files are backed up. After all, if you have a copy of all your files, why would you pay a ransom for them? Do you know how much a ‘Directory Enquiries’ call costs? More than you think, probably. There are nearly 420 companies providing a directory enquiries service, so it is obviously a lucrative business. 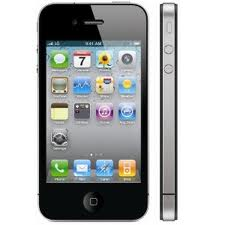 Prices vary enormously: typically ranging from £5-10 per call. BT’s 118 500 is reported as charging £5.61 for one enquiry, while 118 118 has recently increased its charge to £8.98. However, customers have reported charges of more than £30. 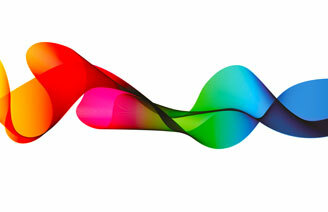 This is the result of accepting the operator’s offer to connect the call, which can give rise to a charge of more than £3 per minute by some providers. The cheapest way to search for a telephone number is to use an on-line service, if possible. However, if that is not an option, there is a cost-effective service – BT’s 118 707 which provides a ‘no frills’ service for a fixed fee. As a result of customer’s concerns, OFCOM is to investigate the cost of Directory Enquiry services charges. Over 64? This is your last chance to boost your pension. Act now! If you are over 64, you have until April 5th 2017 to see if you can boost your pension. 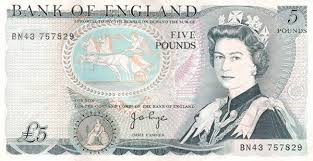 This could be worth thousands of pounds in the future. So act now! 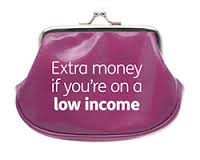 To find out more, please follow this link to the Money Saving Expert’s website. Or, click here to check if you’re eligible or if it’s right for you. On a state pension? Are you donating up to £35 to the Government every week? 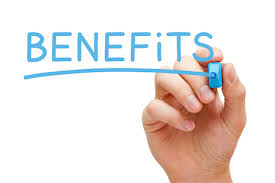 If your sole income is the state pension, you could be entitled to a pension credit. The state pension for a single person is currently £119.30 which is below the £155 minimum income set by the Government. This means that some people could be entitled to up to £35 in pension credit. Couples can claim and if you’re a carer you could claim more. To check out if you’re eligible, follow this link. You can also use the calculator to find out how much you could be owed. It’s that time of year again ….. end of the financial year and lots of people are worrying about their taxes. The Consumer Association (Which?) 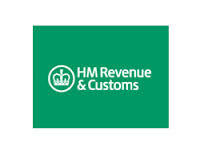 has advised that Her Majesty’s Revenue & Customs (HMRC) is warning of a scam e-mail advising people that they are eligible for a tax refund. There have been similar scams before, but there is a concern that the urgency for action, expressed in the e-mail, is causing people to act hastily. Click here for further information. Or, click here to check if you’re eligible. Have you felt aggrieved by an unexpected driving fine? There are some surprising offences which land you with a fine. 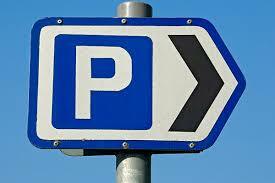 To find out how easy it is to incur a Fixed Penalty Notice (FPN), follow this link. You can also find out about penalty points and how to avoid them. The Financial Savings Compensation Scheme has increased its limit for protection from January 30th 2017. 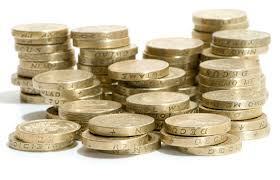 The previous compensation limit for people with money in banks, building societies and credit unions was £75,000. This has now been increased by £10,000 to £85,000 per person per institution. It is important to check that you do not have more than £85,000 in any one institution. To check who owns whom in the banking industry, try this link or go to a savings comparison website. 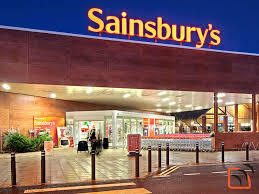 Have you received an offer to win a Sainsbury’s Gift Card? The Consumer Association (Which?) is warning WhatsApp users of a scam which offers the opportunity to win a Sainsbury’s £250 Gift Card. In the message, there is a link inviting you to participate in a survey and then send the link to 10 friends, in exchange for the voucher. This results in spreading the scam very rapidly. This is just one of several ‘win a voucher/ gift card’ scams which use well-known high street companies’ logos. Clicking on the sender’s address will reveal if the sender is genuine or not, but ….. read the address very carefully, as the details may be very similar to the genuine company’s address. For further advice and information about scams, visit the Which? website. To make sure that you are not missing out, you could come to our next Forum meeting on January 26th – details on our Forum Events page. Alternatively, visit our ‘Topical News’ page and read the articles there. There is concern that a spate of new scams is causing insurance companies to raise their prices for car insurance and older drivers are said to be experiencing the steepest increases. To find out more, follow this link. Are you aware of the proposed new Benefit and Pension Rates from April 2017? There are reports that broadband 360,000customers of TalkTalk and 100,000 of the Post Office have been hit by a cyber attack, which has left them with no internet connection. A spokesperson for the Post Office has stated that no personal data or devices have been affected. For further details, follow this link. 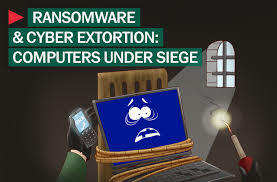 Ransomware is a very virulent form of malware (malicious software) which locks your computer and encrypts your files so that you can’t use them. Effects can vary, but generally involve programmes not working and denying access to your files. Once your device has been infected, you will be asked for payment (a ransom) to regain access to your files. To find out about ransomware: what it is, how to identify it and how to protect your device, click here. The Consumer Association (Which?) 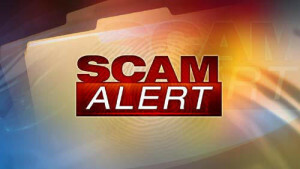 is warning people about a scam involving on-line genealogy. Fake e-mails are leading to copycat websites for Ancestry.co.uk. and offering the opportunity to view the life story of a named relative are circulating. This is a scam and anyone receiving a fake e-mail should report it to Action Fraud. Watch out! Don’t get frosted. 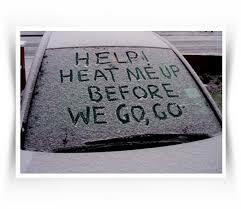 On these cold frosty mornings it’s tempting to go back in the house, while you leave the engine running to defrost car. Beware! There are thieves about and your car could be an irresistible temptation. The theft alone could be devastating, but how would you feel if your insurance company would not pay compensation because you had left the keys in the ignition? Find out more. The Metropolitan Police Service has produced its latest edition of ‘The Little Book of BIG Scams’. This book provides a comprehensive overview of the myriad of scams and phishing techniques which are used by criminals. It also emphasises the importance of reporting scams and provides a list of the appropriate authorities which can be contacted. Use this link to access an audio of version of the book. Don’t ignore parking tickets. Some people have suggested that it’s worth ignoring them because many organisations won’t be willing to bother to take legal action, because of the cost. However, the courts are likely to take a dim view of those who ignore parking fines. 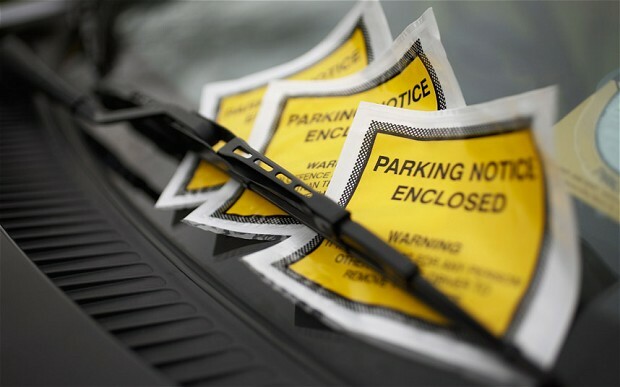 The Money Saving Expert provides a very good guide on how to avoid incurring a parking fine as well as what to do when you receive one. Called the ‘Glovebox Parking Guide’ it is a useful resource to have with you in your car. 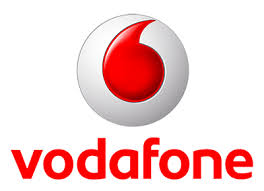 Following an investigation by the Money Saving Expert (MSE), all Vodafone customers are advised to check their bills for errors. The investigation has identified errors in tariffs, direct debits etc. For further details, follow this link. Following concerns expressed by home owners, who have had claims on their house insurance rejected, U-Switch had provided a guide entitled ‘Home Insurance: 10 things you must do to stay covered’. A simple guide to check that your home has appropriate insurance cover. What do you do if you discover a scam? If you discover a scam or suspect that you have been a victim of a scam, it is important that you report it, so that appropriate action can be taken by the organisations or authorities involved. The Consumer Association (Which?) 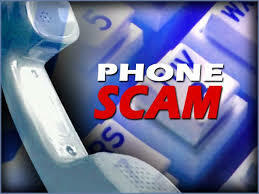 provides simple advice on how to confirm and report scams. 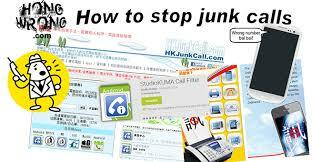 Bothered by spam e-mails, junk mail and unwanted telephone calls? Are you pestered by cold callers on your door step? It’s possible to take action against these unwanted intrusions. Follow this link to find out how. To find out more information about staying safe, see the ‘Safety’ page on our information hub. 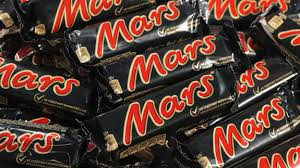 Mars have recalled a range of their chocolate products after reports of contamination with bits of plastic. Products affected include: Mars bars, Mars miniatures, Snickers, Celebrations, Mini Mix and Milky Way. 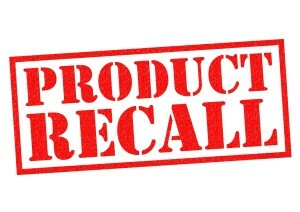 For further details about this recall, follow this link. Warning: Where do you keep your spare keys? U-Switch has provided some really useful tips on how to keep your home and property safe from burglars. 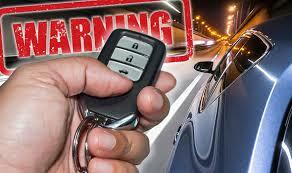 Follow this link about the risks associated with spare keys. Personal details and some credit card details have been stolen by hackers. The event happened a few months ago, but details have only just been released. To find out if you could have been affected and for action to take, follow this link. Watch out for the latest scams! Find some tips about the latest scams and how to avoid them. Everything from dodgy vouchers to fake websites. For further advice, follow this link. 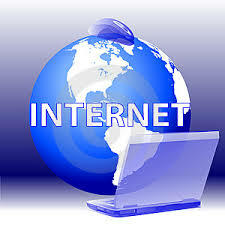 Other sites which you might find useful include: get safe on-line, cyber streetwise and NY Police cyber crime unit. If you think you may have been a victim of cyber crime, you are advised to contact North Yorkshire Police. Update: Trading Standards officers are warning consumers about the risks of buying counterfeit goods on-line. Even goods with CE markings have been discovered to be counterfeit. Be wary of cheap prices and make sure that you check out the vendor. If you have concerns about the safety of a purchase, contact your local Trading Standards Office or contact the police on 101. Mandate fraud is on the increase. So, what is it? 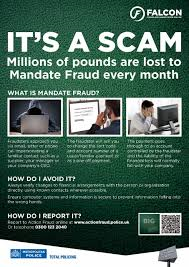 Mandate fraud usually involves direct debit payments or payments by standing order and can result in the loss of large amounts of money very quickly. If you suspect you have been a victim, you need to take prompt action to notify your financial institution and the police. For further details click here. 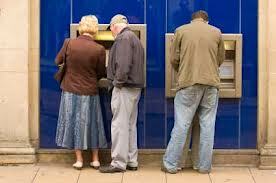 There are lots of warnings about being wary when using automatic cash machines (ATMs). However, recently, the scammers (or should that be ‘skimmers’?) are increasingly ingenious. In this article from the Daily Mail, you can read about all the ways in which criminals can corrupt your transaction, including ‘spring traps’ which prevent you removing your card! 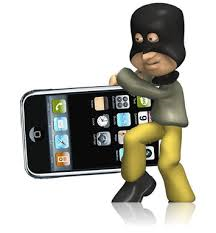 Where are the hotspots for mobile phone and tablet thefts? Information about local and national hotspots for thefts of mobile phones and tablets has been published by BT. Follow this link and be prepared. Your lifestyle can affect your insurance premiums and cover. 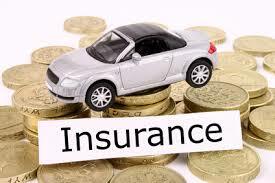 How much your home is occupied or a change in driving frequency can affect how much you pay for insurance cover. So, if you’ve recently retired or changed your job, you should notify your insurance company in order to make sure that you are still covered. Failure to do so, may result in a claim being dismissed. For further details follow this link. 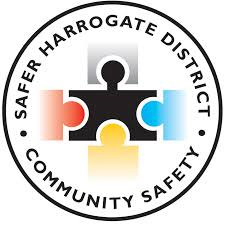 Read the latest Harrogate District Community Safety Newsletter and find out how to deal with cold callers, shed theft and a whole host of other issues. Follow this link to access the newsletter. The Consumer Association (Which?) 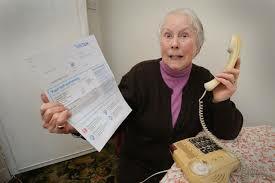 is warning consumers about a new scam related to council tax. Individuals are being cold-called by companies which are suggesting that their tax banding is to high and that they could be entitled to a refund. 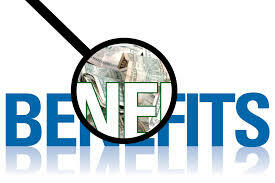 Of course, the companies then require a fee, which will necessitate obtaining the individual’s bank details etc. If you think that your property is in the wrong council tax band, you should contact your local council for a review, which is free of charge. Many of us have telephone handsets which allow us to see a caller’s number, so that we can possibly identify unwanted or scam calls. However, there have been growing instances of nuisance callers and criminals deliberately changing the Caller ID, a practice known as ‘spoofing’. This means that the number displayed could be a local number or one that we recognise so that we feel comfortable about taking the call. 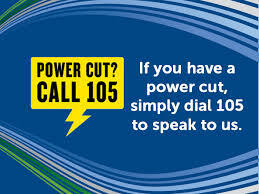 To found out more, follow this link and further advice is available here. Direct Travel has ceased to provide travel insurance. However, existing policies will be honoured and terminated when they lapse. For further details or to access a contact form for the company follow this link. Could you be committing insurance fraud without realising it? In these days of ever increasing insurance premiums, it is quite common for parents to assist their children to pay for car insurance. Younger drivers’ premiums can be very expensive. However, if you take out a policy stating that you are the main driver, but your child is using it more regularly, you could be committing fraud. Even if the child is named on the policy and regardless of who is paying the premiums, this is fraud called car insurance fronting. 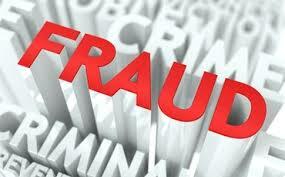 For further clarification about insurance fraud, follow this link. The Government is scaling back its free pensions advice service ‘Pension Wise’ due to disappointing take-up.. There is a major concern that people who are taking money out of their pension pot, under the new pension rules, are not making adequate plans for their financial future. The Government therefore plans to re-advertise its service. 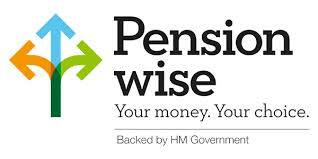 Do ensure that you access the ‘Pension Wise’ website, which is free. Other similar sites will charge. 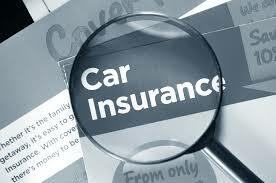 Are you clear about the coverage you are entitled to via your policy? Did you read the small print or the terms and conditions? There have been increasing numbers of failed claims because travellers did not understand their policies. For example, when should your policy start? 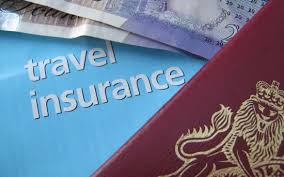 If the start date is on the day of travel, you will probably not be covered if you need to cancel your holiday (perhaps due to illness or accident) prior to travel. 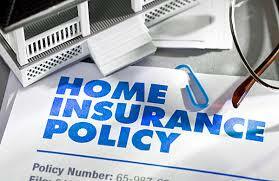 Follow this link for further information on the types of policy available. Also, do make sure that you declare any existing illnesses or current diagnostic procedures when arranging your policy. Failure to do so may result in no cover should you make a claim. The national director for patients and information at NHS England and leader of the care.data project has resigned. So what is the future of the care.data project which has been mired in controversy over the past three years? The controversy surrounded the rights of patients to opt-out of the scheme and the failure to convince healthcare staff and patients that confidential data would be adequately protected during extraction from GP surgeries, storage at the data centre and subsequent release to researchers and commercial enterprises. It is unclear what is happening about the data of those patients who have already opted-out of the scheme and whether opting-out will be an option in the future. This month sees an increase in the single payment limit. To find out more about this technology and how to ensure your security, click here. From October 1st 2015, big changes to consumer legislation come into force. Make sure that you are aware of these changes by following this link. In Case of Emergency (ICE) is a scheme which enables first responders, such as paramedics, firefighters, and police officers, as well as hospital personnel, to contact the next of kin of an individual in an emergency. To date, mobile phone owners have been encouraged to include an emergency contact telephone number in their contacts/address list under ‘ICE’. Remember, this contact relies on the phone being in working order and not locked by a password. 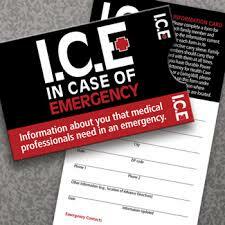 Increasingly, people have taken to including an ICE card in their wallet and several companies now sell these cards. However, it is possible to download a free card from a website which also provides useful advice on how to support people as they get older. Don’t forget ….. there is further advice about staying safe, including using the Lion’s containers in your home, on the ‘health’ section of the ‘Information Hub‘. 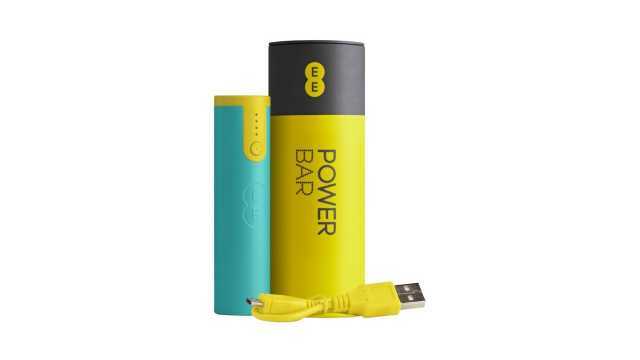 EE has received reports of some of their mobile phone power bars catching fire. 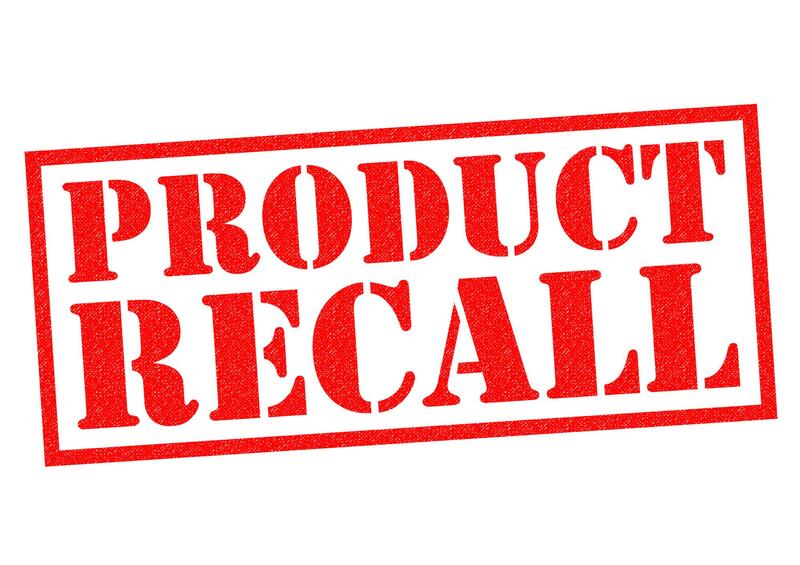 There is currently a recall on some of them and you are urged to check if yours could be affected. For further details, follow this link. For further detail see the ‘Topical News‘ page. 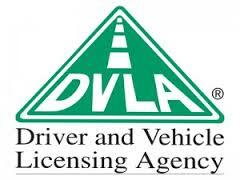 Good news for people planning to hire a car ….. the DVLA codes have now been extended to 21 days. Find out more on the ‘Topical News’ page. For further details, please see the ‘Topical News‘ page. There is some really helpful advice from North Yorkshire Police about dealing with bogus callers as well information about cybercrime and tips on how to stay safe on-line. Despite concerns about privacy concerns NHS England is to restart the extraction of patients’ data from GP surgeries. The project was suspended at the end of last year following concerns expressed by an independent watchdog which highlighted 27 questions about the security of patients’ data. The project was suspended during the run up to the general election. Further updates will appear on the ‘Topical News‘ pages. According to Which? 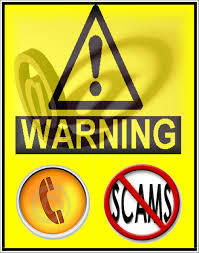 (the Consumer Association), two in five scams come after a cold call. 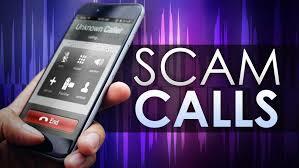 More than a third of cold call scams reported to Citizens Advice between April 2014 and March 2015 were for professional and financial services and included phoney banking services, fraudulent credit brokers and fake investment opportunities. There is a concern that scams will continue to thrive if people fail to report them. Current estimates from Citizens Advice suggest that as few as one in twenty scams are reported. 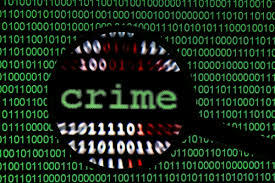 Poeple are being encouraged to report scams to the UK’s national fraud and internet crime reporting centre, Action Fraud. For further information, please follow this link. When you register to vote, make sure you opt out of the edited (open) version of the Electoral Register. This means key details about you, such as your age and address, aren’t listed online and available for anyone to access. Help keep your details safe! For further details on how to opt-out click here. 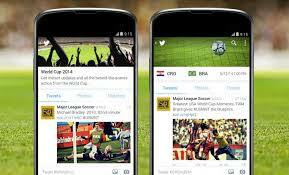 Beware of large mobile phone bills ….. Twitter now plays videos automatically. ‘Autoplay’ is now the default setting, so you need to change your settings to avoid racking up huge bills. Follow this link for further information and advice. From this month, Freephone numbers such as 0800 and 0808 will be free from mobiles. Telecoms regulator Ofcom has also stated that charges for calls must be clearly stated. So changes to call charges for 084/087 numbers will reflect this. Click here for further details. 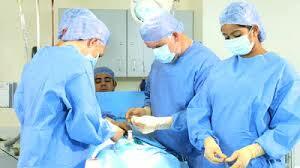 Are you waiting to have an operation? If you’re waiting to have an operation, now could be a good time to quit smoking. The ‘New You NHS Smokefree Service’ aims to assist people to give up smoking. For details of the service and list of venues click HardNet News and go to page 7. 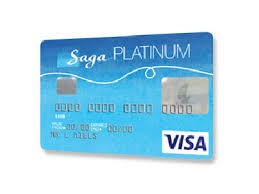 Under section 75 of the Consumer Credit Act 1974, if you pay for something costing between £100 and £30,000, specifically on a credit card, the card company is jointly liable with the retailer. 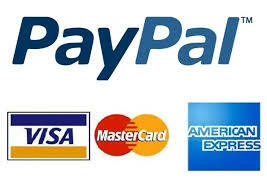 However, customers have experienced difficulty in making claims following payments by credit card via PayPal. To find out all the details and how to protect yourself, follow this link from the Money Saving Expert (MSE). 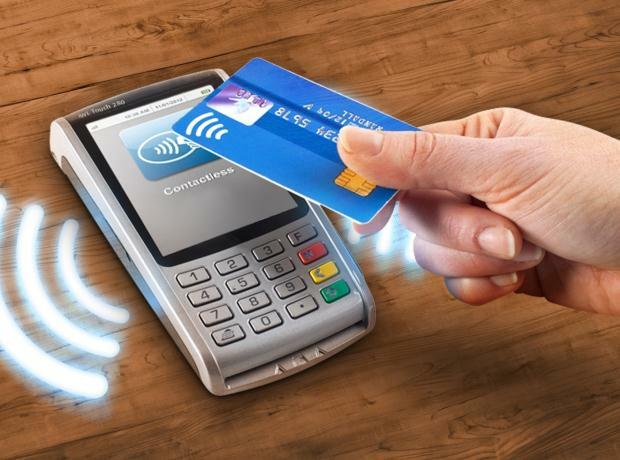 Note: There is now an update to this information which includes advice about using debit cards. Lots of people are concerned about their safety and security on-line. 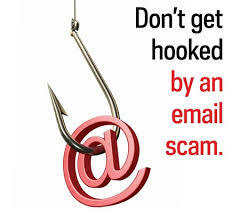 The Consumer Association has produced a useful guide spotting on-line scams: anything from fake virus alerts to phishing scams. Follow this link to access the guide. If you want to hire a car, there are new rules which you need to understand. From June 8, the paper counterpart of UK photocard driving licences will be abolished. The paper counterpart has always contained details of any driving convictions or penalty points, but from June onwards, this information will have to be obtained online before you try to hire a car. Drivers will need to log on to the DVLA website in advance, to obtain a code which is valid only for 72 hours, so anyone looking to hire a car more than three days into a trip overseas may need to source the code abroad. To obtain full details, follow this link to contact the DVLA. There is also a scam warning from the DVLA – so stay safe! North Yorkshire County Council – Bus Subsidy Reductions! North Yorkshire County Council has introduced changes to its contracted services in April 2014 to reduce the amount spent on subsidising bus services in North Yorkshire. Further announcements by the Government over future funding mean that the council now needs to find a further estimated £75.9m between 2015 and 2019. The Council has therefore been asked to look at how it might reduce the amount of subsidy for local bus services to £1.5m every year from April 2016. To have your say about these cuts, go to our ‘Have Your Say‘ page. A new 24-hour telephone helpline has been launched to assist victims of hate crime in North Yorkshire, as part of a campaign by North Yorkshire Police to tackle the issue across the county. Hate crime is defined as any act of hostility or violence which is directed at a person because of their disability; gender-identity; race, ethnicity or nationality: religion, faith or belief; sexual orientation. 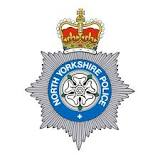 Update: You can read the North Yorkshire Hate Crime Report 2015 on our ‘Publications‘ page. Scams, scams and more scams! Never underestimate the ingenuity of the criminal mind when it comes to scams. The art of deception comes in a myriad of forms. Offers which seem ‘to good to be true’ – usually are! 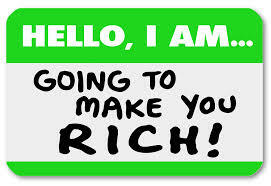 Anyone approaching you (on the telephone, by post, on your doorstep or in the street) to offer you a ‘great opportunity’ whether it’s to make or save money (or anything else) should be viewed with suspicion. Every day someone becomes a victim of scammers, but it is possible to keep yourself safe – arm yourself with information. This article from the BBC provides a comprehensive overview of scams. 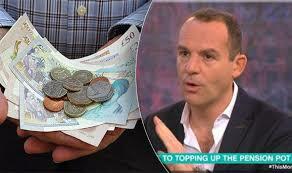 There is also further information in relation to ‘pension scams’ on the ‘Topical News‘ page. Don’t let the scammers win – stay safe! The Consumer Association (Which?) 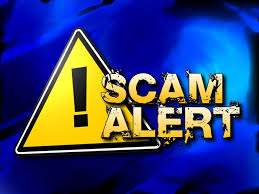 has issued a warning about current scams and the measures you can take to avoid being becoming a victim. 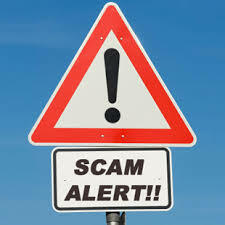 The latest holiday scams ….. be prepared! It’s time to book a holiday, but make sure that you get the holiday you deserve and don’t get ripped off my some ruthless person who’s after your money. Follow this link for further advice from Which? With such big changes in the Pension Rules come opportunities for the pension holders, financial advisors and unscrupulous individuals who seize the opportunity to make a lot of money. 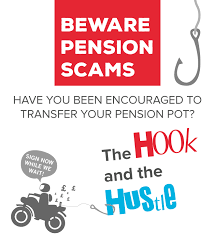 This ‘Pension Scam’ leaflet includes case histories of two victims.